This spacecraft mission combined a Venus swing-by with a Comet Halley fly-by. Two identical spacecrafts, Vega 1 and Vega 2, were launched on December 15 and 21, 1984, respectively. Having carried Venus entry probes to the vicinity of Venus (arrival and deployment of probes were scheduled for June 11 & 15, 1985), the two spacecrafts were retargeted using Venus gravity field assistance to intercept Comet Halley in March 1986. The first spacecraft encountered Comet Halley on March 6, 1986, while the second one three days later. The fly-by velocity was 77.7 km/s. Although the spacecraft could be targeted with a precision of 100 km, the position of the spacecraft relative to the comet nucleus was estimated to be known only to within a few thousand kilometers. 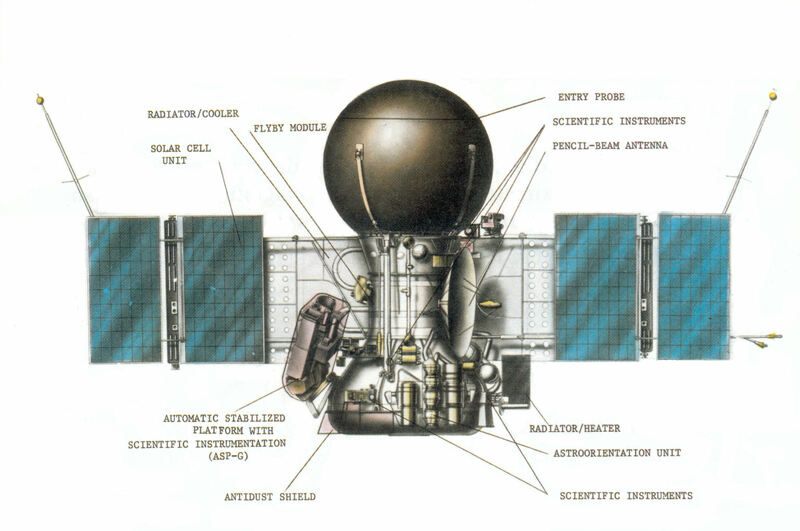 This, together with the problem of dust protection, led to the estimated fly-by distances of 10.000 km for the first spacecraft and 3.000 km for the second. Halley’s comet approaches the Earth once every 76 years. In 1986 the unique opportunity was given to study the comet with instruments. 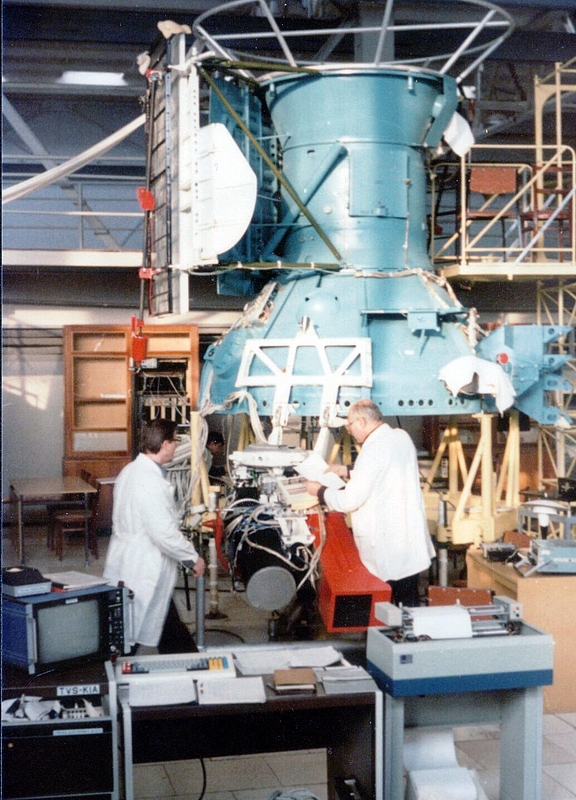 The scientific program of the Vega mission was realised by widespread international co-operation (Soviet Union, Austria, Bulgaria, Czechoslovakia, FRG, France, GDR, Poland and Hungary). 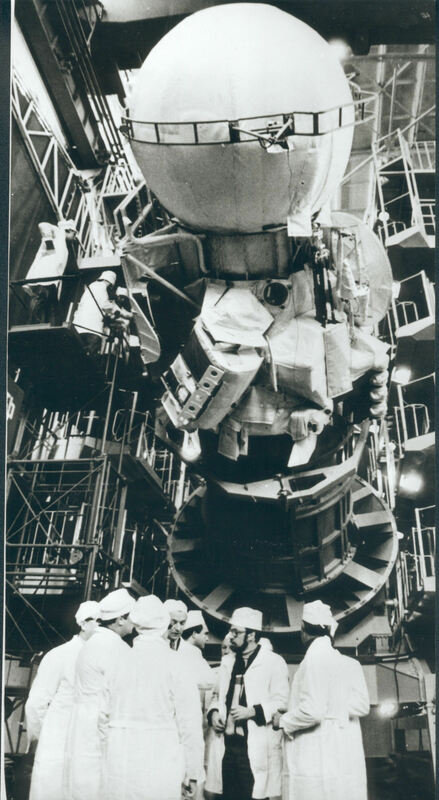 The spacecrafts carried 14 experiments, among them the Imaging and Tracking System, the so-called TV System (TVS) for tracking and imaging the inner coma and comet nucleus. The TVS, placed on a pointing platform, consisted of a narrow-angle camera (NAC), a wide-angle camera (WAC), and a processor unit. Optical parts of the TVS were built partly by French and Russian scientists. The WAC was to be used for large-scale coma imaging and as a guide for the NAC. The basic task of the NAC was imaging the nucleus and the surrounding area of Comet Halley; that of the WAC was directing the pointing platform and its instruments to the object of examination. Both cameras used CCDs with 512 x 576 pixels each as detecting devices in the focal plane. Combined data rate for the two cameras was 48 kbps, which was not sufficient to transmit the full contents of the CCDs. Only a “window”, one-tenth of the area of the CCDs around the center of brightness was transmitted. The exposure time had to be kept short to keep image blur to a minimum, but it could not be less than 0.01 s if good sensitivity had to be achieved. The narrow-angle camera could resolve nucleus surface structures down to 200 m from a distance of 10.000 km. A set of filters (500 to 1050 nm) with a relatively wide (80 nm) passband was used in the NAC. The WAC filter covered the range 630 to 760 nm. The NAC had a focal length of 1200 mm, an f-number of f/6, and a 0.5-deg field of view; these parameters for the WAC were 100 mm, f/2, and 4 degrees, respectively. 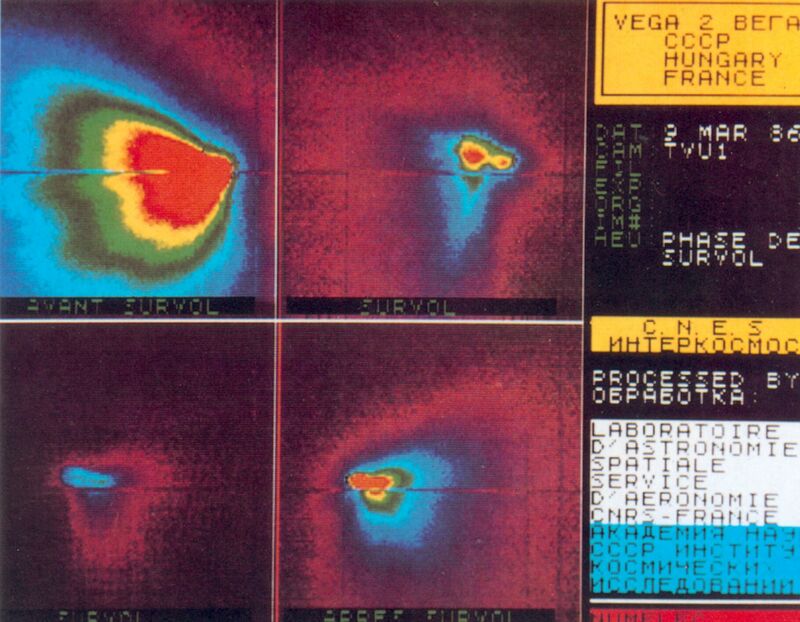 In addition to the purely scientific objectives of imaging the nucleus, the cameras also had the task of providing the information needed to determine the spacecraft’s trajectory relative to the nucleus. Our team members, as employees of KFKI RMKI had designed and realised the electronic part of the TVS with two microcomputers. One of them controlled the imaging, maintained communication with the Earth (downloading information and processing uplink commands). The task of the second computer was to recognise the comet and to track it by controlling the platform motion. This was the first time in the history of space research that real-time autonomous control was realised through onboard picture processing. The most sensitive and critical components of both computers (memory, clock generator) had hot redundancy. 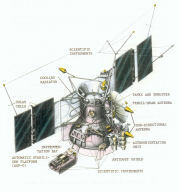 In addition, the DPU contained back-up systems for tracking and communication. They were designed on different technological bases for the same function, so that any eventually unrevealed systematic error in the design or manufacture could affect only the subsystem in question, but not the functionality of the whole system. The TVS transmitted about 1500 images to the Earth and the nucleus of Halley’s comet was observed for the first time in history. Its shape, surface features and activity mechanism were derived. Cometary nuclei are considered to belong to the oldest, most primitive population of solar system bodies, thus their investigation contributes to understanding the formation of the solar system.